Managing today’s cybersecurity landscape is complicated. Threats grow in intensity and sophistication, and our adversaries are more cunning and determined than ever before. Research reveals that organisations have to deal with complexity and gaps, as, on average, they have more than 30 fragmented solutions deployed, which instead of improving a business’s security, actually makes it harder to manage. Moreover, in the dynamic threat landscape, the cost of cybercrime is soaring, and is estimated to be higher than US$450-billion. Add to that the expanding attack surface, where 50 billion devices are expected to be connected by 2020, and you’ll understand why security remains a top concern for Axiz’s customers. This is why Axiz is harnessing the benefits of Cisco ONE Advanced Security, which is reducing this complexity, and simplifying the purchase of infrastructure security. Now Axiz customers don’t have to worry about securing their infrastructure as an afterthought — by deploying Cisco ONE Advanced Security, automation, security, predictive monitoring and a policy-driven approach. 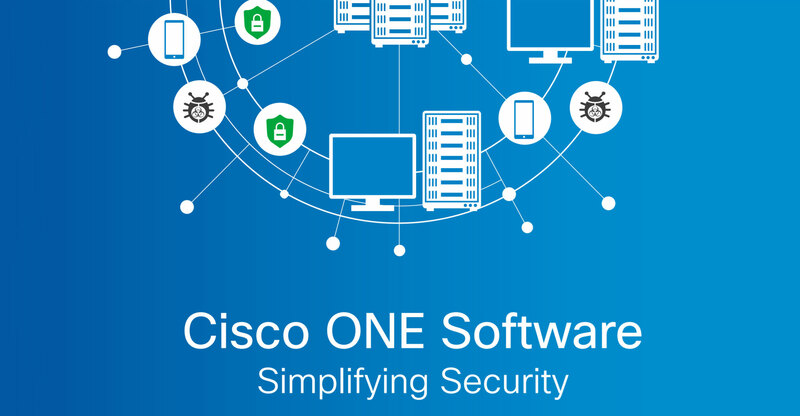 Cisco ONE Software offers three feature sets for the three domains — foundation, advanced applications and advanced security, something to suit the needs of every business. Read more about Cisco ONE Advanced Security (PDF).